The Milestone Decision Authority (MDA) is the overall executive sponsor responsible of any Major Defense Acquisition Program (MDAP). The MDA formally initiate each increment of an evolutionary acquisition program. The PM is responsible to reporting to the MDA and adhering to their guidelines. The Defense Acquisition Executive (DAE) is the individual responsible for supervising the Defense Acquisition System. The DAE takes precedence on all acquisition matters after the Secretary of Defense (SECDEF) and the Deputy Secretary of Defense (DEPSECDEF). The Program Element Officer (PEO) is a military or civilian official who has responsibility for directing several MDAPs and for assigned major system and non-major system acquisition programs. A PEO normally receives guidance from the CAE. 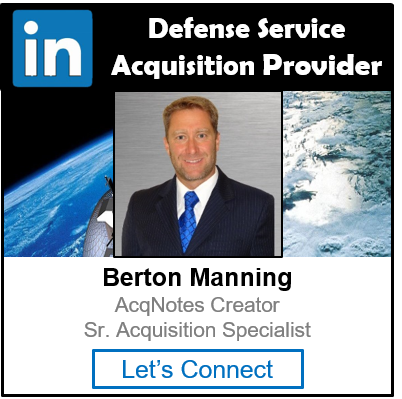 Service Acquisition Executives (SAE) also represent military departments and acquisition executives in other DoD components, such as the Missile Defense Agency (MDA), U.S. Special Operations Command (USSOCOM) and Defense Logistics Agency (DLA), who have acquisition management responsibilities.